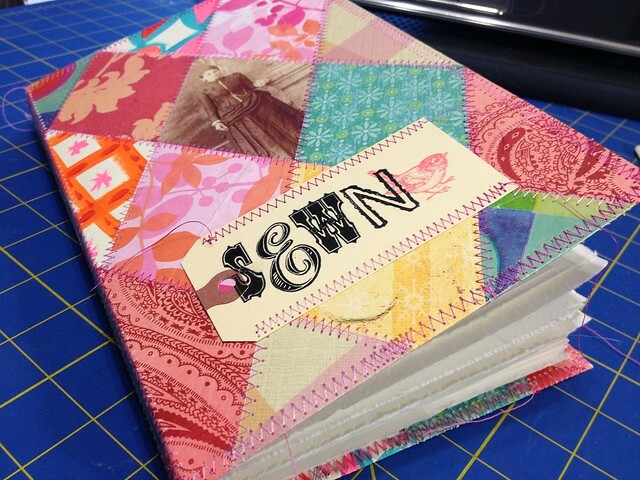 Playing along with the SEWN class, I put together a new book to document my musings. 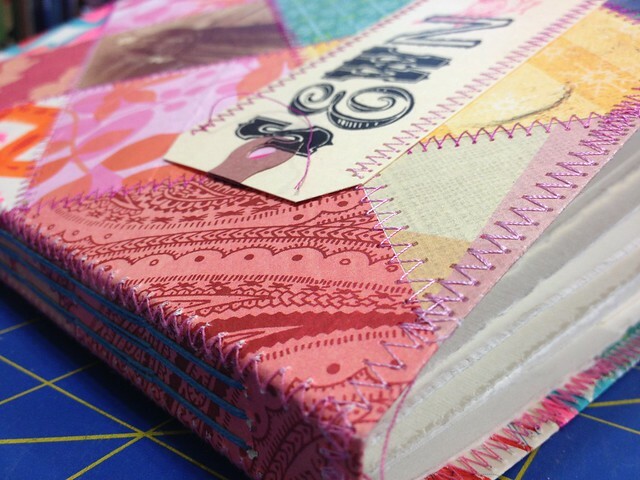 I love the quilty look to this book and I’m eying my neglected quilting books for other pattern ideas. Maybe a New York Beauty or Lone Star Pattern. I’ve always wanted to play with those patterns in fabric but never got around to it. Perhaps paper is the answer. In my studio, paper and fabric are interchangeable. Your book is beautiful….. Love love love. 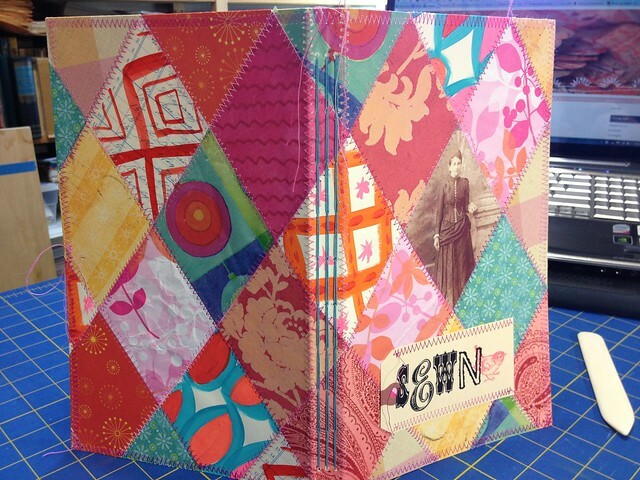 Jess, LOVE your book, and patterns and colors…look great!